The takeover of London-listed JKX Oil and Gas Plc, which was completed last week with a purge of the board and senior management, is an operation for the benefit of Igor Kolomoisky (lead image, right) and Gennady Bogolyubov, the Ukrainian oligarchs, according to sources in Kiev, Moscow, and London. Proxima Capital Group, a Moscow-based investment firm which won a vote of JKX shareholders on January 28 with 19.97% of the shares and took over leadership of the company, is led by Vladimir Tatarchuk (left). Proxima has announced it has a “fresh perspective” towards Kolomoisky and Bogolyubov, but Tatarchuk won’t say what that means. The sources claim he means a deal with Kolomoisky and Bogolyubov. The two Ukrainians, who share ownership of Privat Bank, the largest of the private Ukrainian banks, already own part of the state-controlled oil and gas producer Ukrnafta, plus two small gas producers in Ukraine — Burisma and KUB-Gas; the KUB-Gas sale and purchase for $30 million was announced this week. Market sources also believe Kolomoisky and Bogolyubov are aiming at a third Ukrainian gas producer, Misen Energy. In each case, Ukrainian market sources say, they are concealing their interest behind offshore holdings and apparently independent managers. JKX has oil and gas (mostly gas) extraction concessions in Ukraine, Russia, Hungary and Slovakia. The Ukrainian operations account for a third of the company’s reserves, but most of of its current production and income. The results for 2015 have yet to be released. In 2014 the company reported gas production was up modestly, but revenue was down 19% to $146.2 million. A small operating profit was wiped out by write-offs in asset value. A claim to recover $270 million in taxes disputed with the Ukraine government has been pending in the local courts and at the Energy Charter Tribunal in Brussels. In 2015 JKX’s gas output reportedly dropped 14% compared to the year before. The market capitalization of the company is currently just £44 million. The case then went on a further appeal. On December 2, the Supreme Court ruled in favour of the Kolomoisky group. 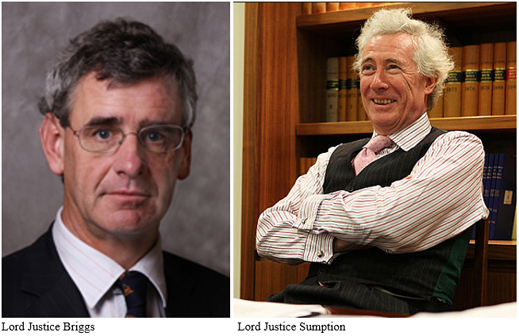 The judgement was written by Lord Justice Jonathan Sumption. Before he took his court seat, Sumption got an advanced education in raider methods when he was Roman Abramovich’s advocate in a successful defence against Boris Berezovsky in the High Court. Click for more on that case. In his December judgement Sumption agreed the JKX case is “about an alleged ‘corporate raid’….in this case [this] means an attempt to exploit a minority shareholding in a company to obtain effective management or voting control without paying what other shareholders would regard as a proper price.” He decided Kolomoisky’s reputation as a raider didn’t give JKX the right to block his share-voting rights. Sumption also concluded that just because Kolomoisky’s group had kept its purpose secret didn’t make it either improper or unlawful, and didn’t allow JKX to prevent the group from exercising the voting rights it owned. Sumption ruled that defeating a suspected raider wasn’t a good enough reason for JKX’s action. The court ruled to restore Kolomoiskly’s voting rights, dismissing the appeals court ruling in JKX’s favour. Tatarchuk and his partner at Proxima, Vladimir Rusinov, became new directors, along with Thomas Reed (below, left) , also the new chief executive; Russell Hoare (centre), the new chief financial officer; and Paul Ostling (right). Reed’s last job was with the ill-fated Russian oil company Ruspetro; Hoare has been an accountant in the Rupert Murdoch organization; Ostling, an Ernst & Young veteran, is currently on the board of Suleiman Kerimov’s Uralkali. 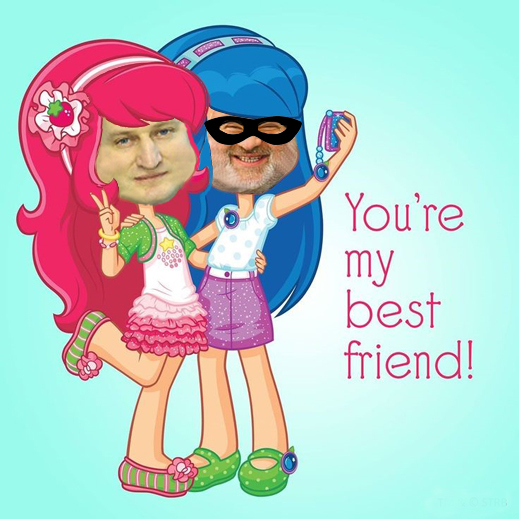 Sources in Kiev and London believe the Kolomoisky group is the only likely candidate because of its established shareholding in the company; its parallel interests in other Ukrainian gas producers; and Kolomoisky’s persisting influence in Kiev. Tatarchuk has a long history of business in Ukraine on behalf of Fridman. He and Kolomoisky may not have spent more than the half-hour together Tatarchuk claims to have remembered. Others claim they have had parallel business and worked in coordination before. For example, Alfa Capital Ukraine and Kolomoisky’s Privat group both had stakes in Ukrnafta during the period when Tatarchuk was a senior executive at Alfa Bank bertween 1998 and 2004. At Privat Bank headquarters Kolomoisky was asked to say if he had a direct or indirect interest in the Proxima shareholding in JKX; and if he would consider buying the shares if they are offered for sale. He did not reply.